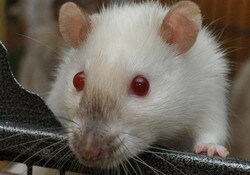 Temperament: Quite shy but curious and gentle. 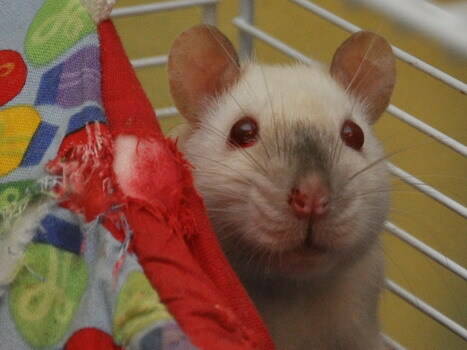 Spayed in March 2013 in the hope that it would help her calm down. 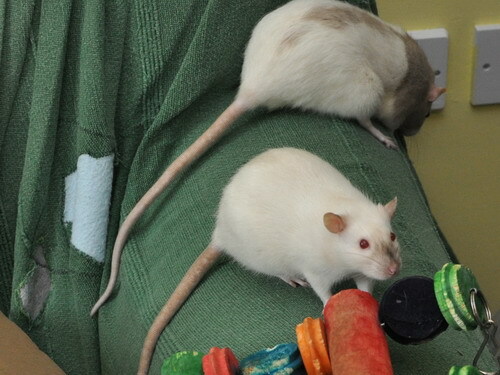 Vet highlighted large amounts of abdominal fatty tissue. 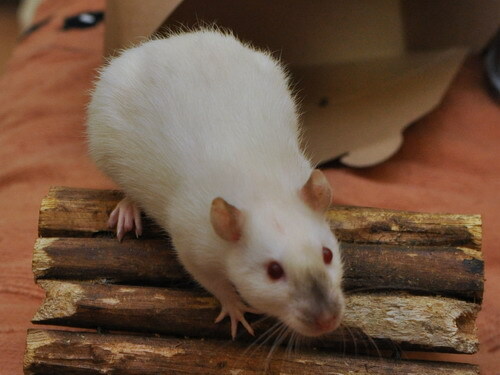 08/02/2015: Bye to my little Tusk. 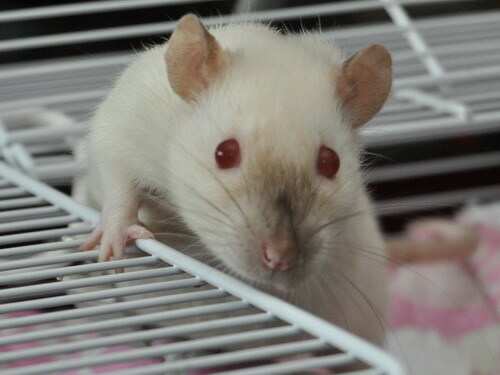 She never really looked old until the last few weeks when she also started to sleep much harder and move about the cage less. 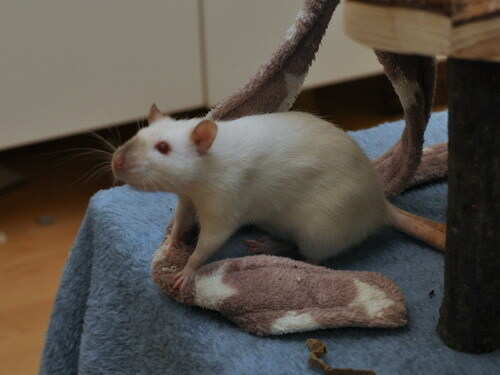 I have some guilt around Tusk - she was present when her sister Umbra died in a horrifying way from post-op complications, and I also feel like she ended up having quite a disrupted life here. 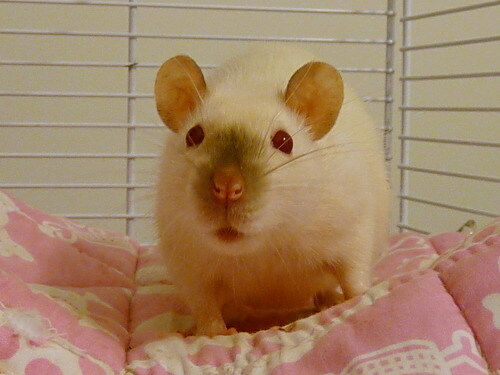 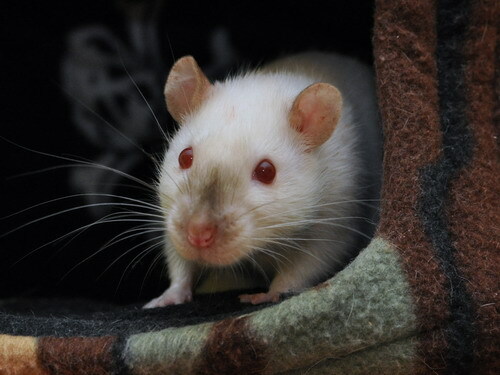 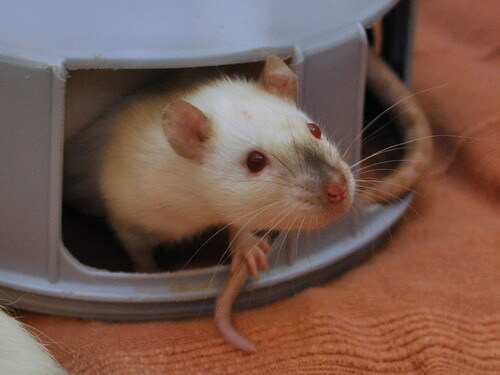 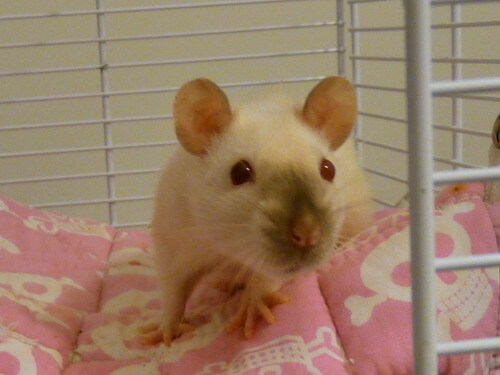 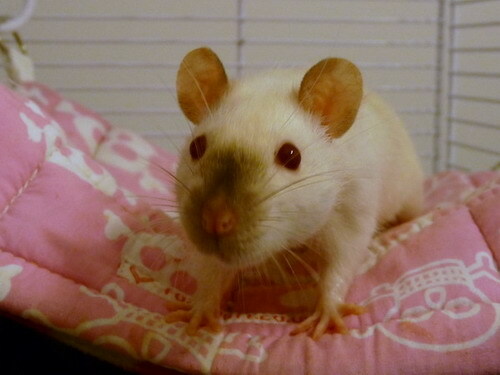 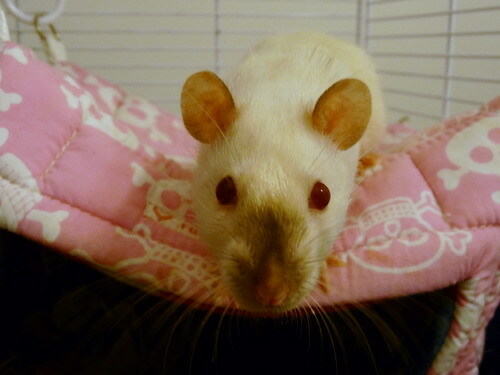 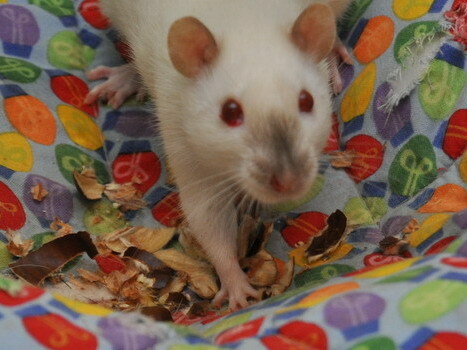 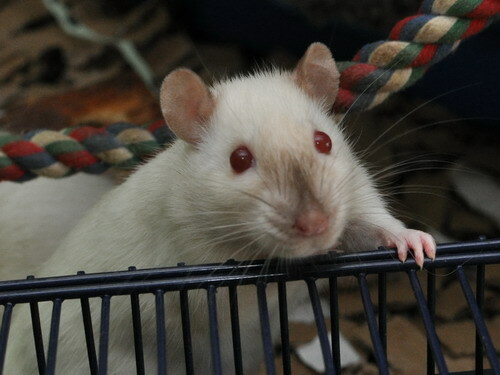 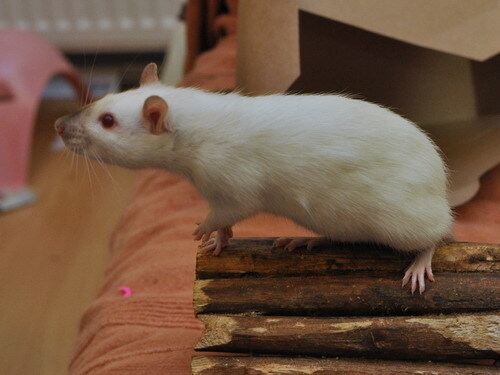 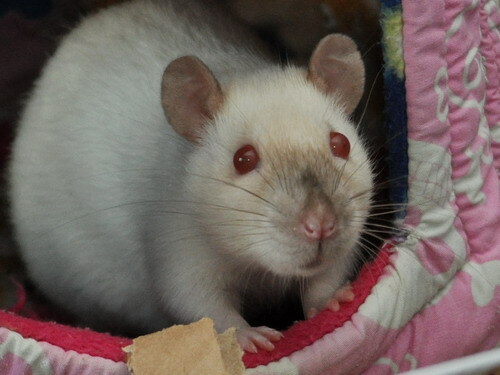 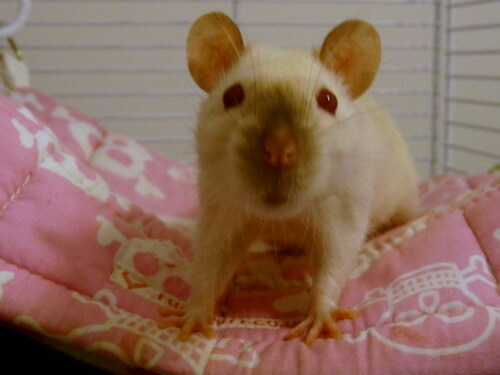 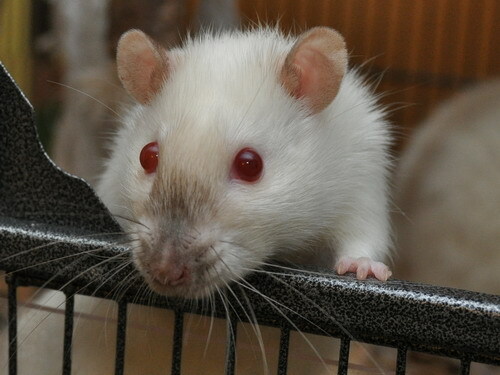 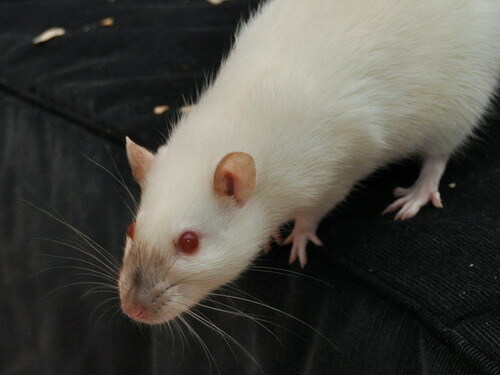 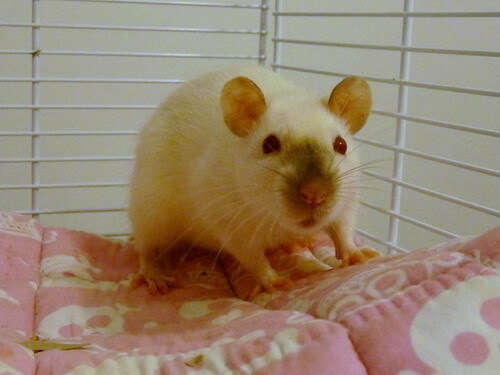 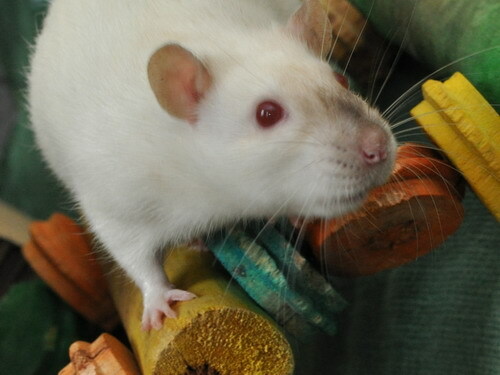 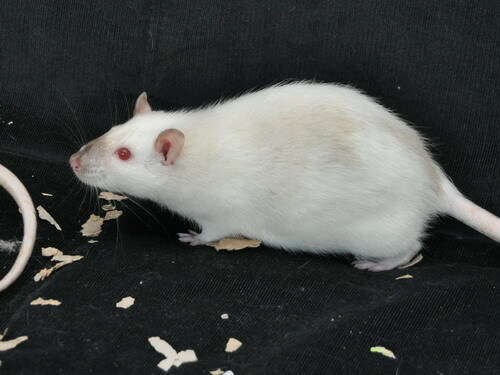 She has been through loads of intros in her time due to not getting along with various rats, or outliving her cagemates. 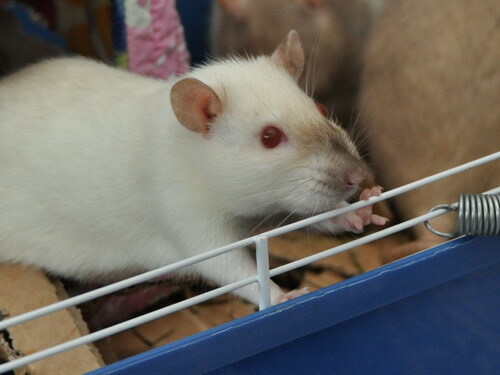 Thankfully she has had longer periods of stability too though, notably with Tony and Maven, and most recently her final 6-7 happy months with Ruggles and Benny. 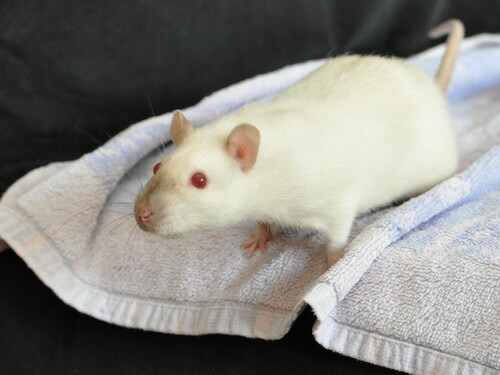 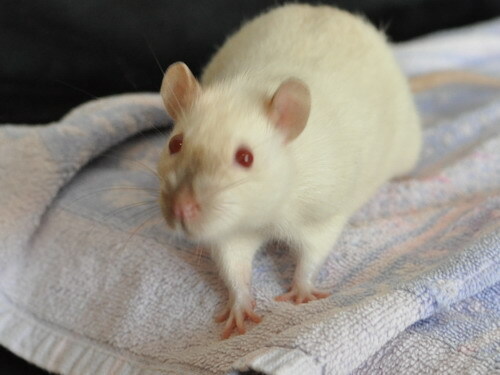 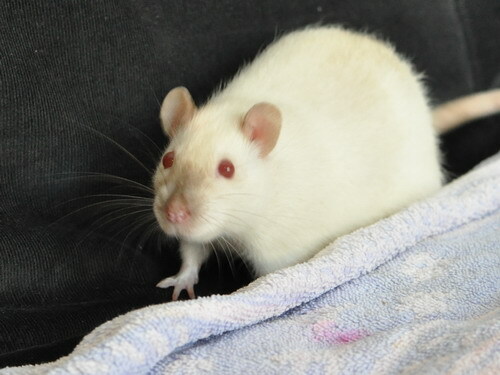 She was a little sweetheart with people although never very engaging or playful, and in rat-terms she was quite strange and most other rats didn't like her. 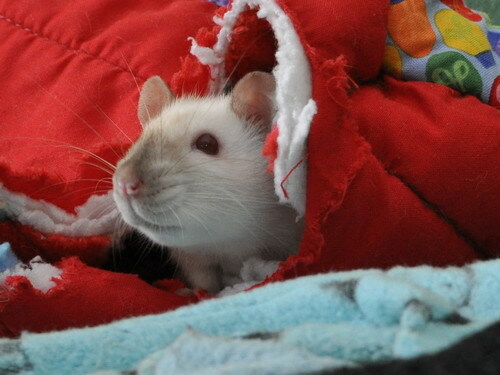 It is odd now that she's gone because it feels like she's always been here, and now she's not. 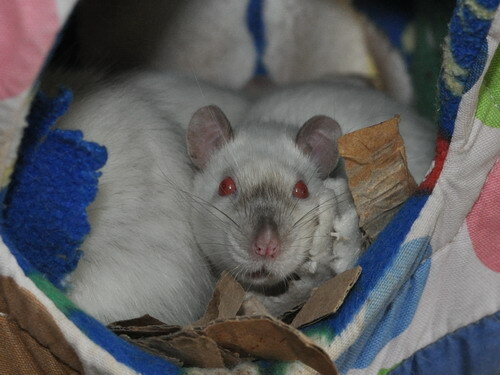 I don't usually feel like that anymore. 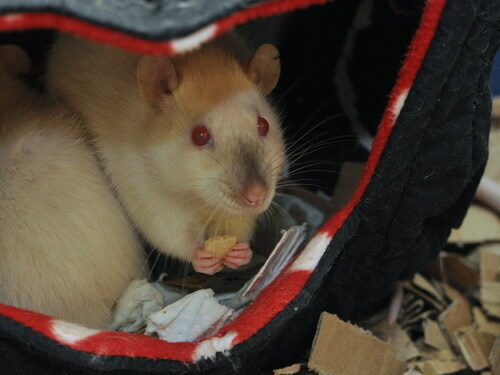 Rest well my little love, I miss you. 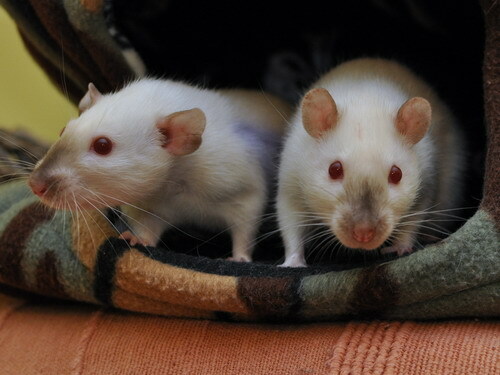 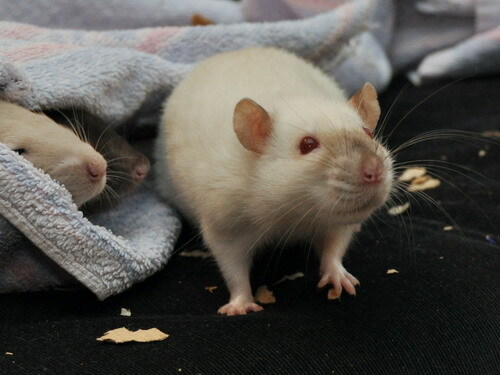 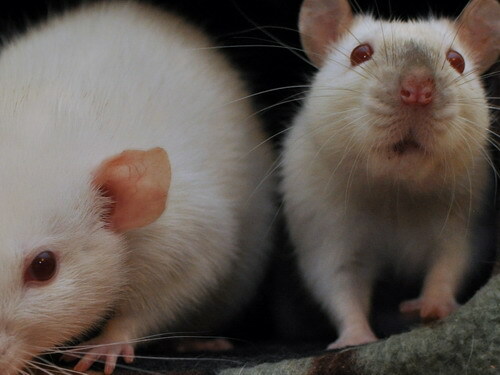 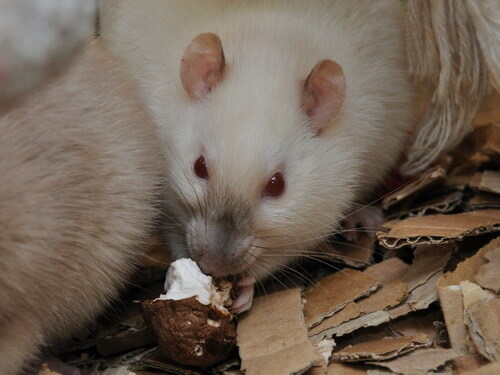 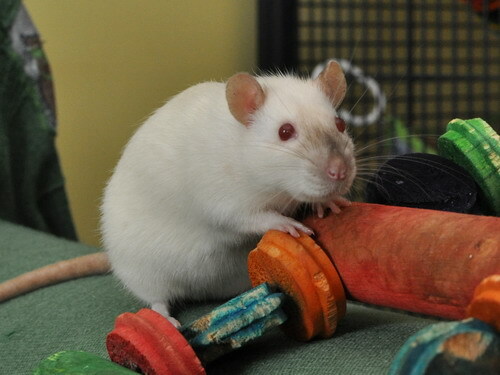 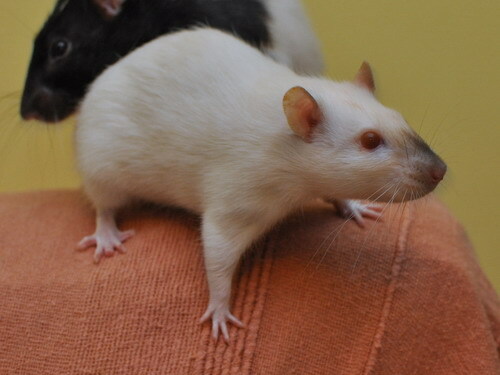 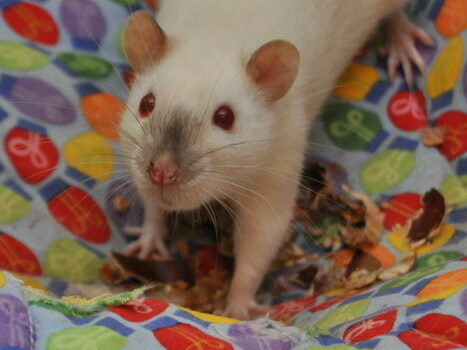 Tusk and her sister Umbra were part of a rescue effort in the northwest where a woman had bought missexed petshop rats who went on to have litters, and in turn the babies weren't split in time - cue even more babies. 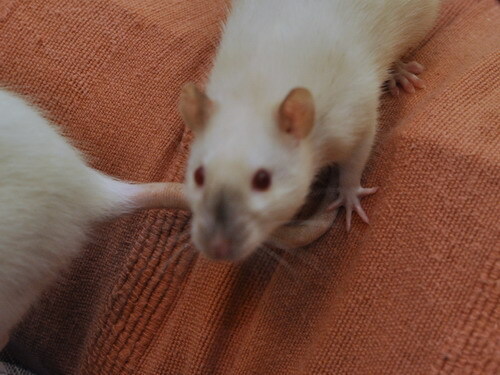 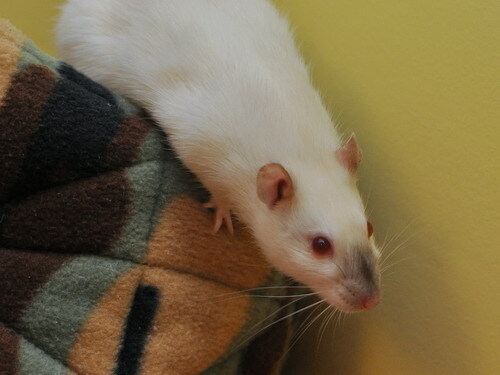 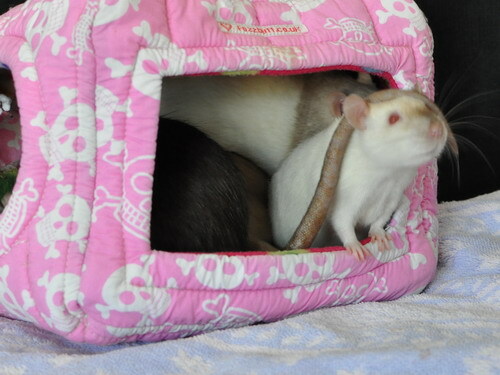 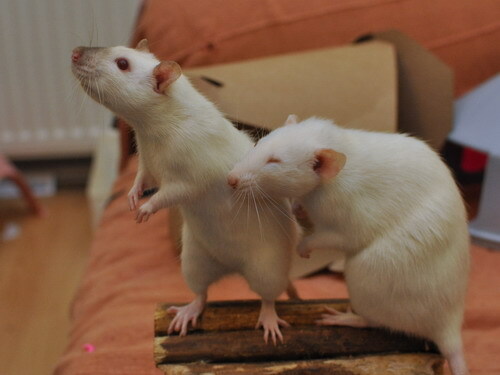 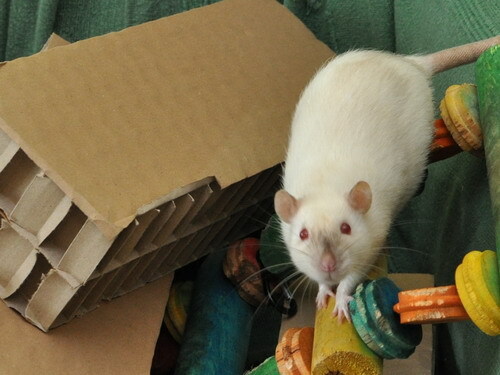 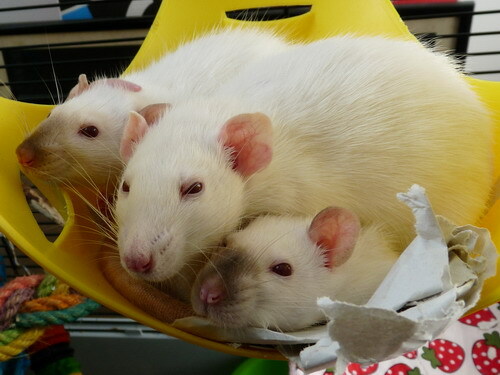 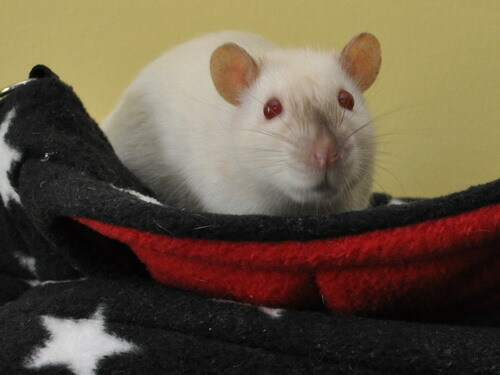 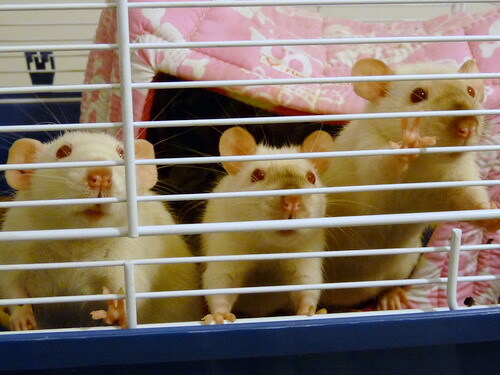 When the person surrendered her rats to rescue, 12 of the little girls went to MRR and after the pregnancy watch and quarantine period, Tusk and Umbra came to us as company to Maven, who had made herself very unpopular with my other girls. 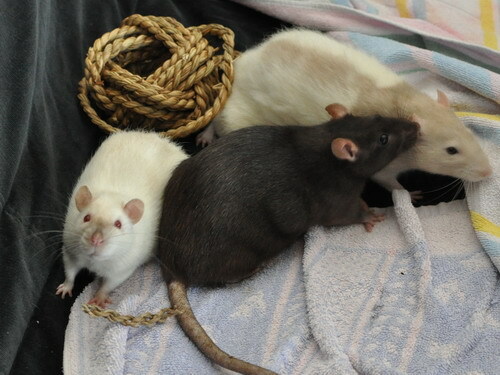 Luckily Maven loved the younger girls from the word go and they have formed a very loving and playful little trio - they look really funny and cute because they're all really similar, a friend commented that they are like a matching set :-D Eventually Angry Tony joined them, and some time later Maven and Umbra both passed, and Tusk is now living with another group of friends.